The FINLANDIA Piano bench by ORSITALIA is an adjustable-height bench seat for use with pianos, in contemporary classic style, 100% of Italian production. 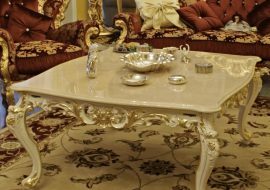 It features a customized finish, plus solid wood construction for lasting durability with beautiful baroque legs. 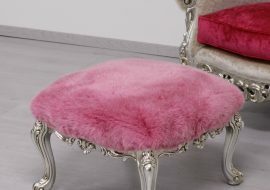 The seat top is cushioned and tufted for comfort during long playing sessions with manual lifts to adjust the height. 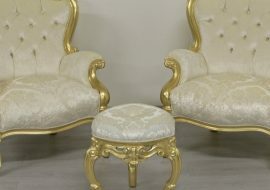 The classic Baroque benches and the adjustable stools produced by Orsitalia are not simple Indoor accessories but real pieces of furniture complements, since they are born from a specific experience in making Classic and baroque furnishings. 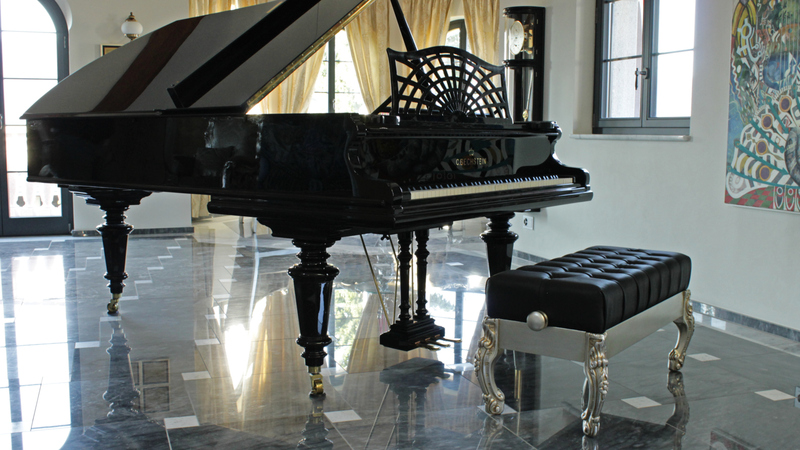 Finlandia piano benches are of classical taste but also of contemporary cut, thanks to bespoke Orsitalia’s Italian production that allow to use their customized pieces of classic furniture in all the types of environments. 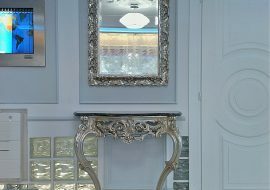 Orsitalia gives a contemporary look to Finlandia Baroque Piano Bench, combining elegantly carved baroque legs to smooth bands. 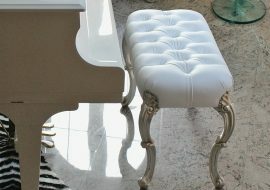 To make Orsitalia’s Piano benches more exclusive, glamour and of Italian Designs a soft tufted seat. 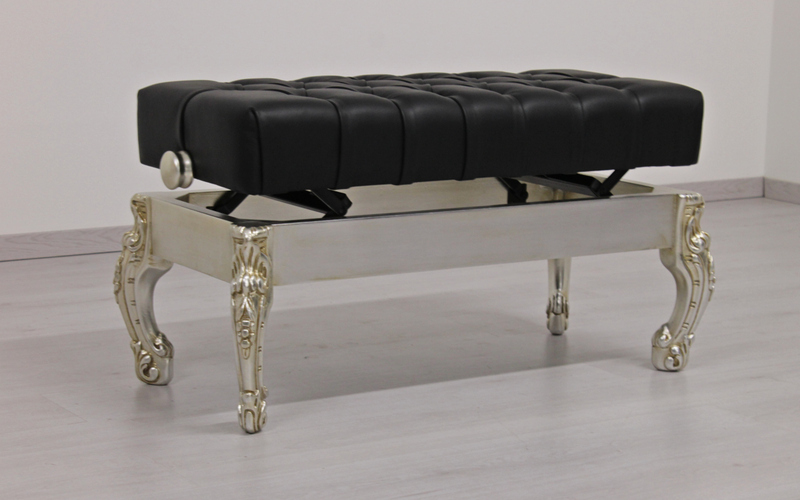 The contemporary baroque adjustable bench for piano model Finland by Orsitalia is created for people who want a piece of exclusive Baroque furniture, which furnishes and catch eyes with extreme elegance. 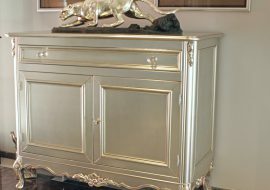 Orsitalia customizes all its contemporary furniture pieces in wood finishing and in the choice of fabrics and colors. 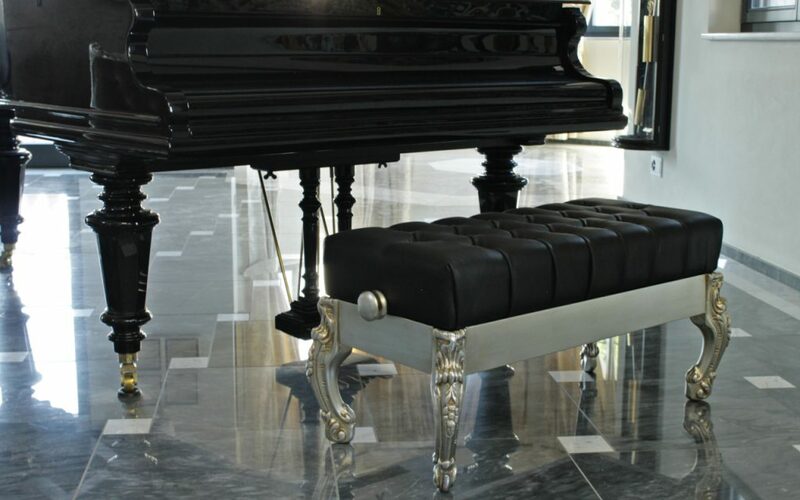 In the picture, the Finland Piano’s stool is silvered and covered in genuine black leather, tufted. 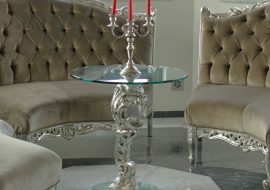 Contact us for your living project, we will present our world made of wood, beauty and Italian design. 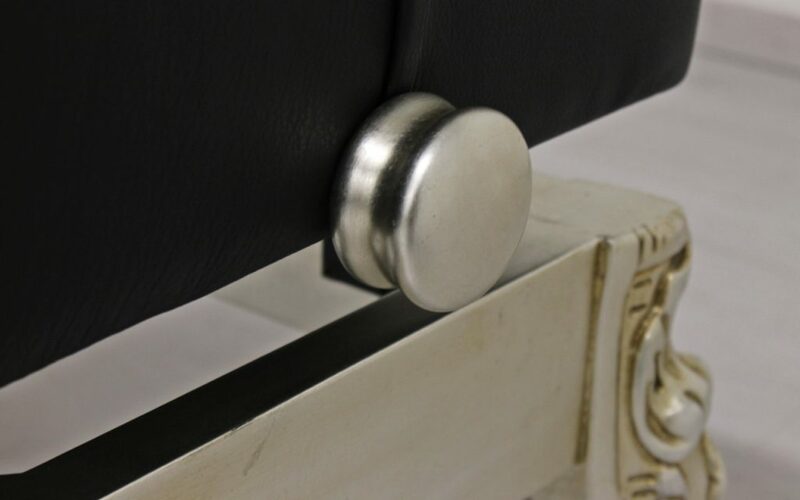 Double seat lift bench: L. 100 x D. 40 x H. 45 cm.